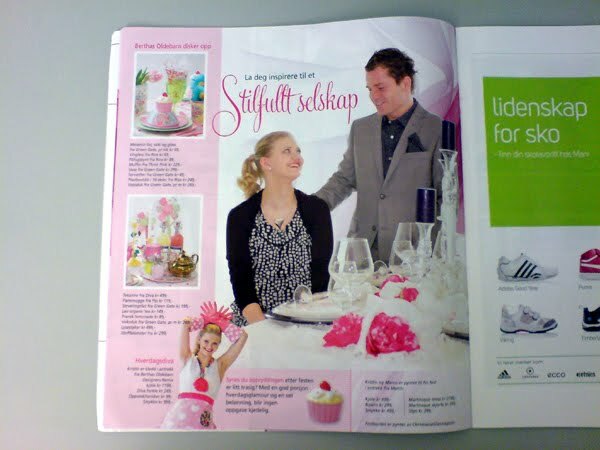 Here is some recent work I have done for my part time employer, the ad agency ASKO Reklame; articles and a photo shoot for Sletten senter's May magazine. 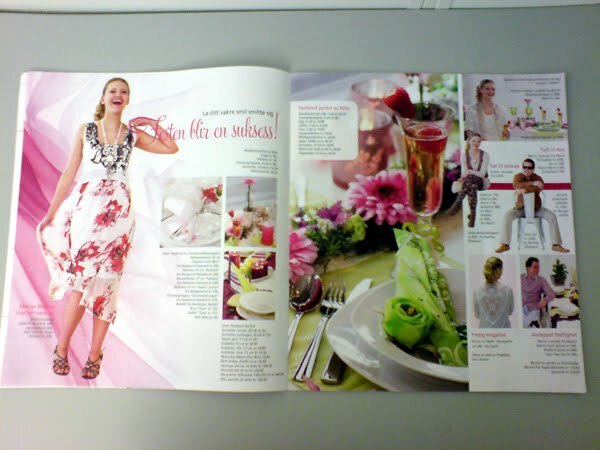 I chose which clothes to feature in the spring party themed images, shot by Gustaf Bratt. I also wrote the texts. The four tables were set and styled by Berthas Oldebarn, Christiania GlasMagasin, Kid and Nille. 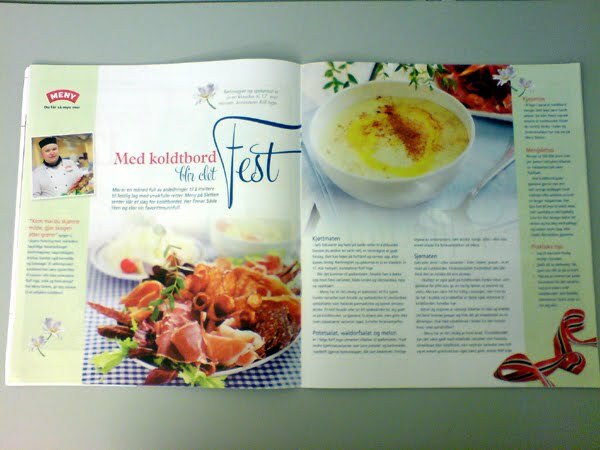 I talked to employees at Meny (grocery store) about how to make the perfect koldtbord/smörgåsbord for May parties. 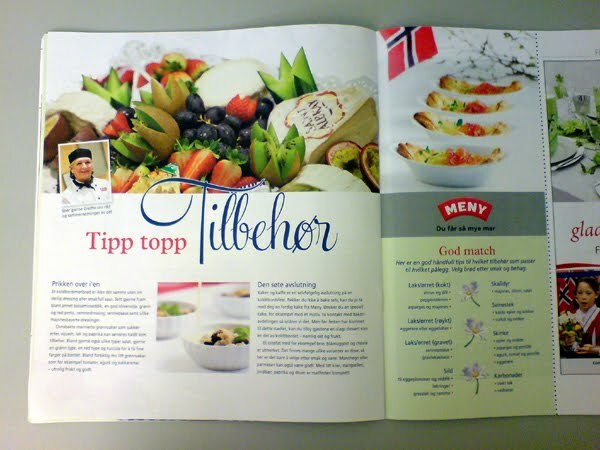 And I interviewed the owner of Sletten Naturkost about health food. Ja,Havfest Haugland, det intervjuet ditt må jeg få med meg. 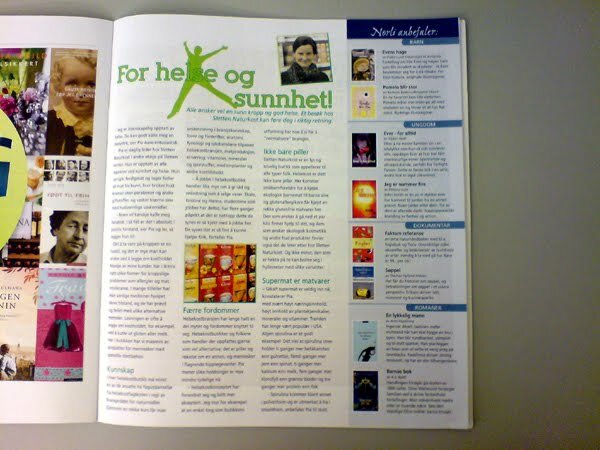 Morsomt cover! 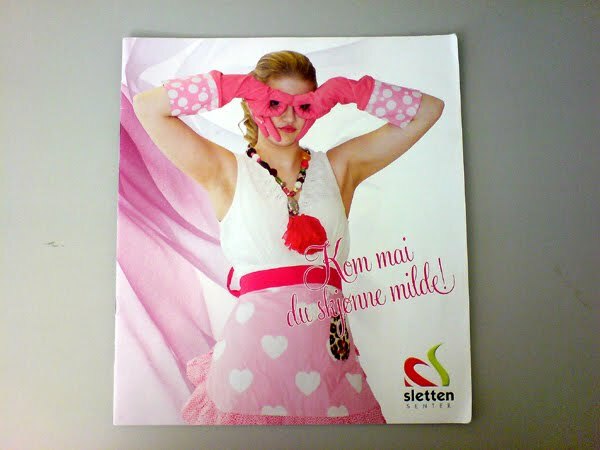 Vittig med Sletten senter, oppvokst med det senteret! Skal si det er forandring der, den gang var det ikke overbygget, med bl a Vega mat, bank, fargehandel og Cubus... m.m.